If you ask us, the words “real-time” are somewhat redundant in today’s 24/7 digital media age. But in any case, the first possessor of an impressive new Mashable title is Brian Ries, moving over from The Daily Beast, where he was senior social media editor. 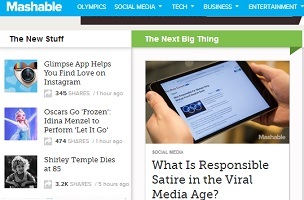 The mission of the real-time news editor is to build on that — to ensure that Mashable’s live news and news-based social content is immediate, urgent and engaging to its audience. Ries starts February 24th and yes, he will be the new man at the @mashable Twitter controls.